The Qualifications and Curriculum Development Agency (QCDA), a non-departmental public body of the Department for Education wanted to give teachers and parents access to the primary and secondary school National Curriculum. 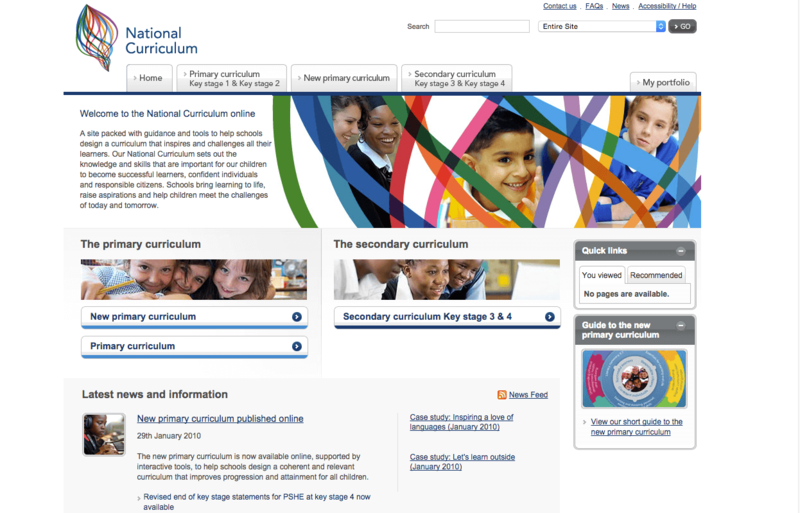 A huge resource of multi-media rich curriculum focused information to inform parents and provide teachers with resources for class-based activities. The QCDA already had SDL Tridion CMS. Existing Visual Basic presentation templates were re-skinned and improved to deliver the new site design and changes in content. True Technical led the CMS developers and conducted the onsite installation of the production environment at the QCDA headquarters in Coventry.